What Is The Definition Of Goon In Hockey? 1. This refers to the ice hockey player on a team who is known as the enforcer. This player is also known as the tough guy or the fighter of the team. The main role of the goon is to act aggressively towards the opposition’s star player or goalie or to also respond to an opponent who performed a dirty play against someone on their team. A team may also use this player to help protect the star player on their own team. The goon is not an official position or role recognized by the league. Is Fighting Allowed In Hockey? Depending on the level of the league, fighting is or is not allowed. 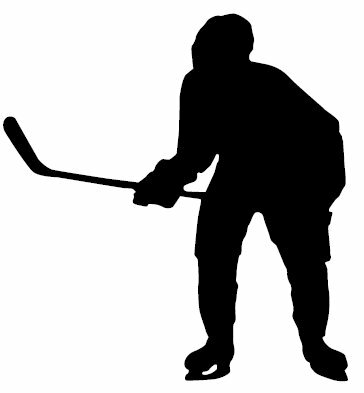 In most junior-level leagues, fighting is allowed and it is also allowed in the NHL and most professional leagues. However, in college, fighting is prohibited and resorts in a game ejection and sometimes suspension. Although fighting may be allowed in the NHL, the team and the player must take into account the major five-minute penalty they will receive if engaged in combat. This is how the phrase “five for fighting” came about. Why Do They Let Them Fight In Hockey? Fighting in hockey has always been considered to be an important part of the game. With hockey being such a contact, physical sport, fighting not only helps to intimidate the opposition, but it also helps to control unnecessary and dirty plays on the ice. With strict rules regarding fighting, both written and unwritten rules, fighting is strictly regulated by not only the officials, but the players as well. For instance, immediately after one of the players falls to the ice, the referees move in to break-up and end the fight. 1. The coach sends in Brashear, the teams goon, out on the next line change to rough up the opponent’s defenseman after he delivered a vicious hit on their team’s franchise player. A team’s goon, or enforcer, tends to be on the team’s fourth line and is used mainly for their aggressive play and their ability to use their fists. In other words, fight. In addition, goons tend to not get much skating time, as they’re known to be one of the least skilled players on their team. Since goons tend to not be as skilled as their teammates, they have been known to work mainly on their fighting skills instead, therefore opting to take boxing lessons to keep their fighting skills sharp.